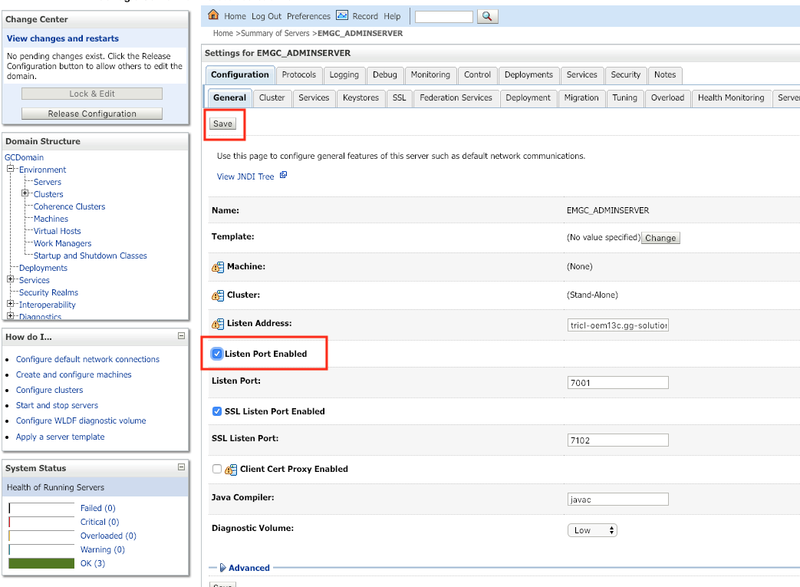 Within Oracle Enterprise Manager 13c you have a nice Feature under the BI Publisher Reports to generate Database Usage Tracking Reports and to deliver them to a FTP Server, called BurstToFTP. The Problem occurs under Oracle Enterprise Linux and Redhat Enterprise Linux. This is a know bug and luckily there has been a Patch released for this issue. After you applied the Patch to your Oracle Cloud Control 13c, the BurstToFTP Feature will work without problems. From time to time you can observe, that some Systems Infrastructure Server Components are turning into a "Pending Status". Mostly the reason for this status change is not clear, a restart of the underlying Oracle Agents also doesn't resolve this pending state. The simplest solution to get rid of the pending state is to remove the Systems Infrastructure Server Component and to re-add it. After that wait some moments and check once again the status of your Systems Infrastructure Server Component in Enterprise Manager 13c and you will see that the status turned to be ok. 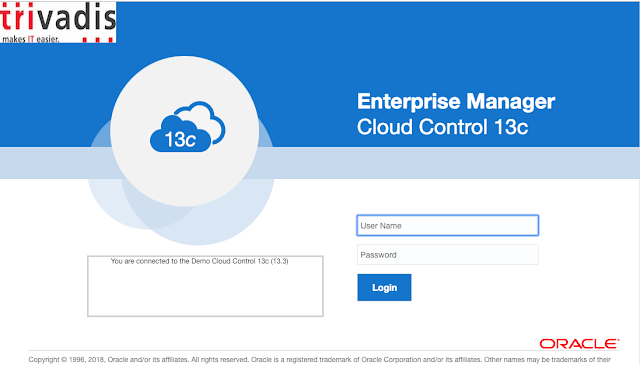 Since Oracle Enterprise Manager 13.3 you have the option to customize the Login Page with your own logo image (size of the image is fixed with width of 200px and height of 70px) and a free text field. 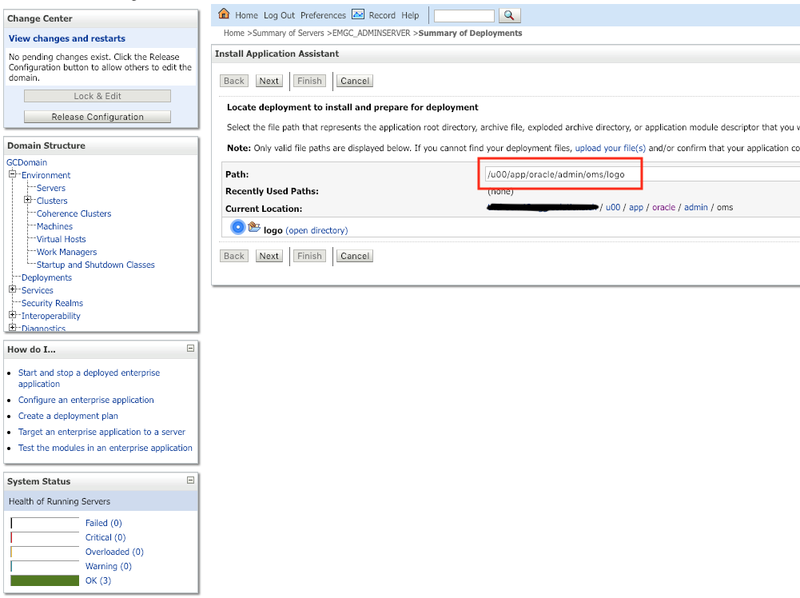 In order to customize your login page you have to perform following steps. 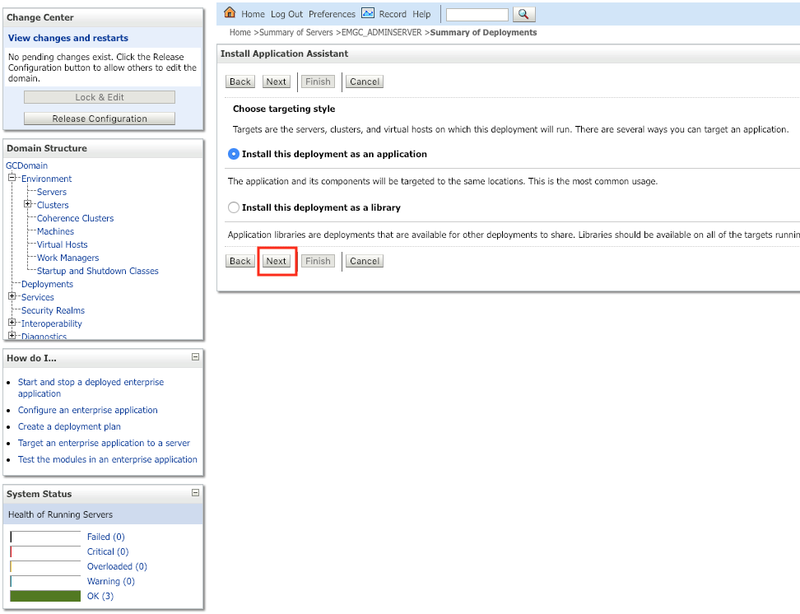 At first you will need to activate the http port for your WebLogic Admin Server of your Enterprise Manager 13.3 environment. 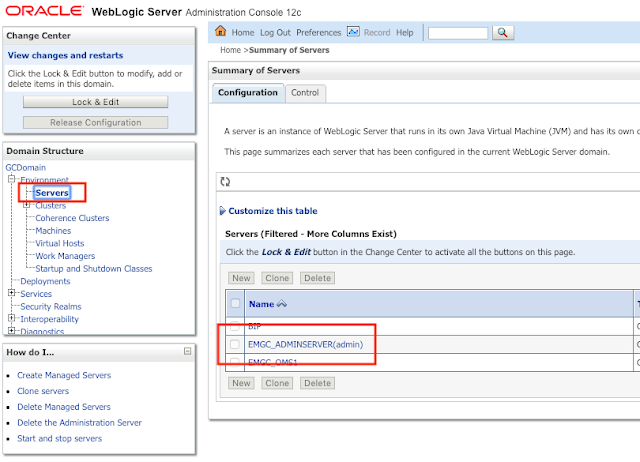 Connect with a browser to your WebLogic Server Console, normally https://<yourserver>:7102/console and login with the weblogic user. Select your EMGC_ADMINSERVER under the Domain Structure "GCDomain/Environment/Servers"
Set the checkbox in front of "Listen Port Enabled", leave the defined http port to the pre-filled value of 7001 and click the "Save" button to save your changes. Finally click in the Change Center the "Active Changes" button, there is no restart required, the http port 7001 will be immediately available. As next you will have to create on the server hosting your Enterprise Manager 13.3 a directory for your image file (possible formats are: jpeg, jpg, png and gif) and a simple web.xml file. 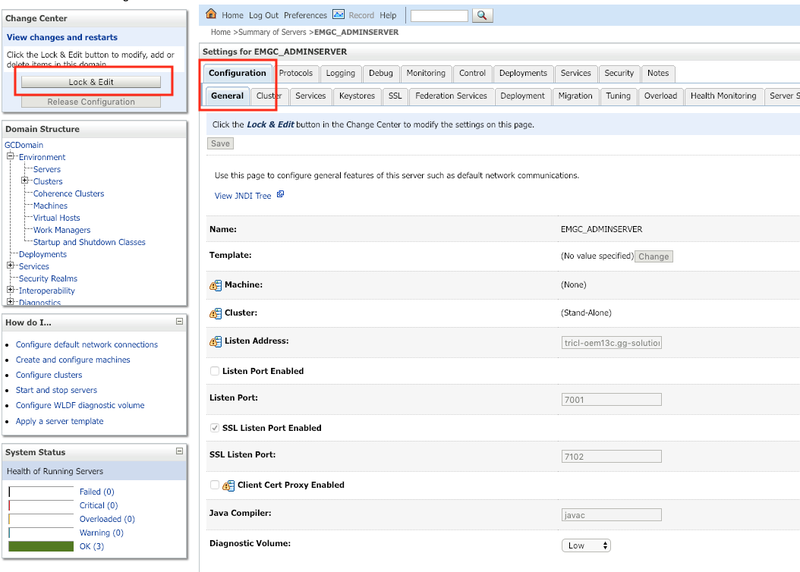 Get back to your WebLogic Console and navigate in the Domain Structure to "GCDomain/Environment/Deployments" and click in the Change Center the "Lock & Edit" button. In the next deployment screen leave the defaults and click the "Next" button. In the following deployment screen choose the EMGC_ADMINSERVER as deployment target and proceed with the "Next" button. 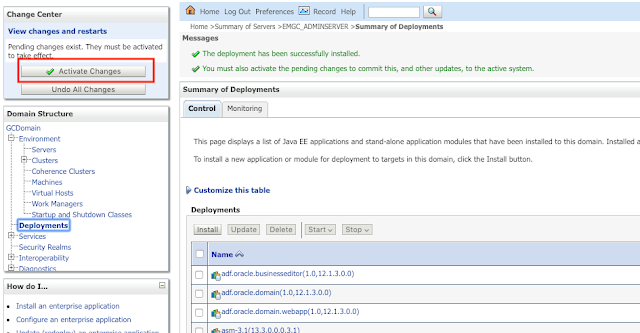 In the following deployment screen leave the defaults and finish the deployment with the "Finish" button. Hint: the context of your deployment will the same as your created directory name, in my case "logo"
To activate the deployment click under the Change Center the "Activate Changes" button. Now you have to validate if your deployment is already active or still in prepared state, under the list of deployments scroll down to your deployment, in my case it's named logo (derived from the directory name you have created. After a successful start of your application you should see the state as Active. Now you can test if you can access with a browser the image file under your deployed application. After the above command is no restart of your OMS required. When you access your Enterprise Manager 13.3 Login Page now, you will see on the top left your logo image and beside the Login Button your defined free text field. I recently came over a real strange behaviour with ALTER TABLE ADD column with DEFAULT value on one of my customers. They are using a Software Product based on WebLogic and Oracle Database, from time to time we receive some new version of this Software Product which includes Database related changes, e.g. add new tables, add columns to an existing table and so on. Within the latest Software Update, we could observe that the overall update process for the Database related part was increasing to around 12 hours !!!! Before it was quite shorter. Mainly the time was taken for ALTER TABLE ADD column with DEFAULT values. After some investigations, I could see, that a simple ALTER TABLE ADD column with DEFAULT values was resulting into single updates with the provided DEFAULT value instead of updating the metadata for the given DEFAULT value. According to the Oracle Documentation in such a case the provided DEFAULT value should only be metadata and not updated for each row. It took me some while to identify the reason (thanks to SQLHC, see My Oracle Support Note 1366133.1 https://support.oracle.com/epmos/faces/DocContentDisplay?id=1366133.1 ), I could see that on my target table for the ALTER TABLE ADD column with DEFAULT value was a Virtual Private Database policy attached with statement_types = insert, update, delete. But this policy was not enabled! So in my opinion when I got a policy on a table which is not enabled, it should affect my ALTER TABLE ADD column command? So, I simple dropped the complete policy and rerun my ALTER TABLE ADD column with DEFAULT value, and è voila my ALTER TABLE ADD column runs in milliseconds instead of serveral minutes. SQl> create user hr identified by "Oracle12c"
As you can see, even a disable VPD policy with statement type = update can affect your ALTER TABLE ADD column statement. I have currently a Support Request with My Oracle Support open, to clarify if this is an expected behaviour or not, as nowhere in the Documentation I could find anything for this behaviour. Since a few days the Certification Matrix for Oracle Fusion Middleware 12c Release 2 (12.2.1.x) was updated within Oracle Technology Network, now Oracle 18c (18.1 on Exadata and 18.3 on On-Premise) is certified and supported as Target Database for RCU (Repository Creation Utility and as Application Datasource. 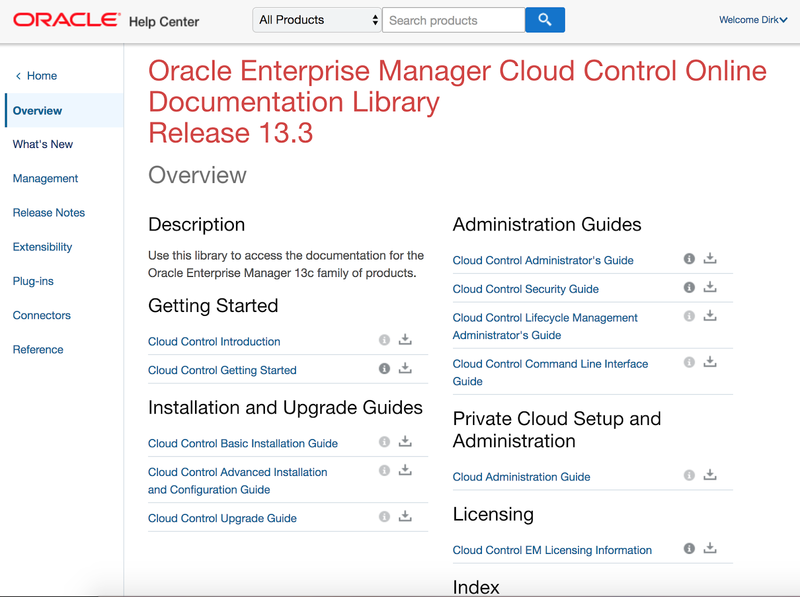 In My Oracle Support under the Certification Tab, the new Certification for Oracle Database 18c (18.1 on Exadata and 18.3 on On-Premise) is not yet updated. 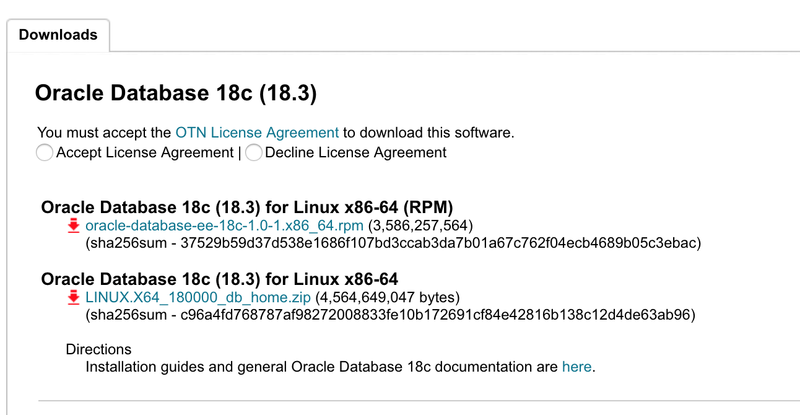 I was directly testing the manually way in installing the Oracle 18c (18.3) RPM version, not Unbreakable Linux Network (ULN). As pre requirement you will need an up and running Linux Server, in my case an Oracle Enterprise Linux 7.4, and the Oracle 18c RPM and as well the Oracle 18c Preinstallation RPM. Userid     : "Oracle OSS group (Open Source Software group) <build@oss.oracle.com>"
[FATAL] [DBT-06103] The port (1,521) is already in use. You only need to change now the passwords of the Database Users, e.g. SYS, SYSTEM and so on. Right on time as scheduled Java 11 has become General Availability. This is the first Java Release under the new license with the so called Long Term Support (LTS). 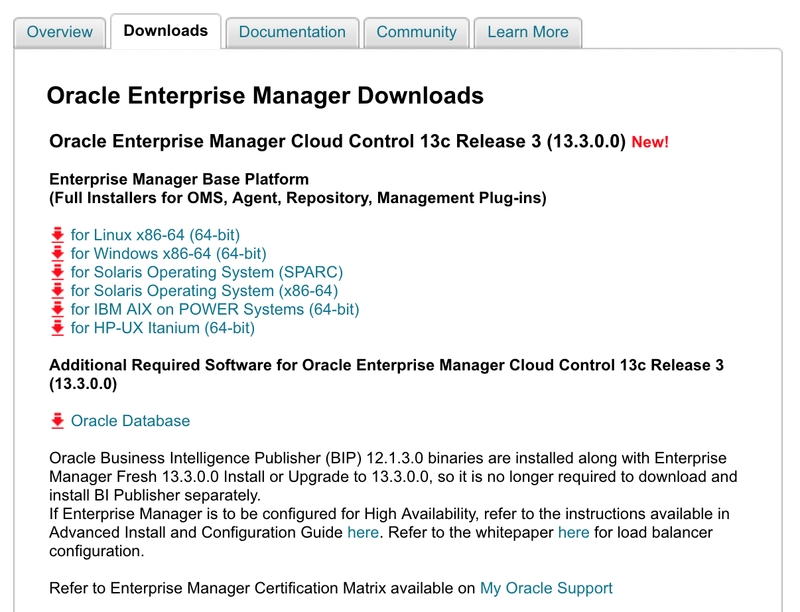 Since a few days the latest Release of Oracle Enterprise Manager 13c Release 3 (13.3.0.0) is available for download (see my blogpost "Oracle Enterprise Manager 13c Release 3 (13.3.0.0) available" ) but the corresponding documentation was not yet available. 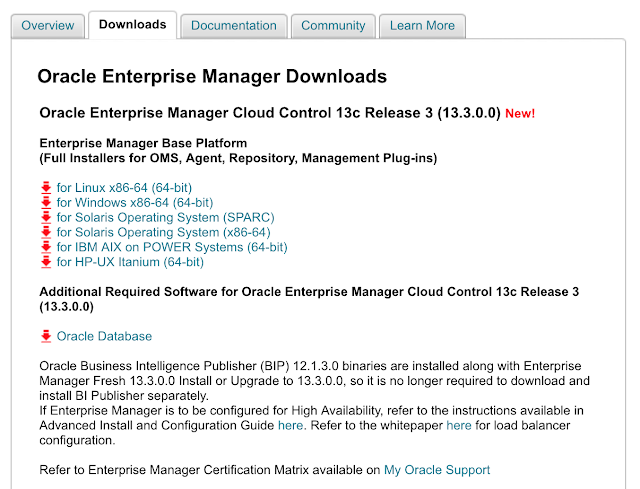 Under the section "What's New" you can find all new features of the latest Enterprise Manager 13c Release 3 (13.3.0.0). 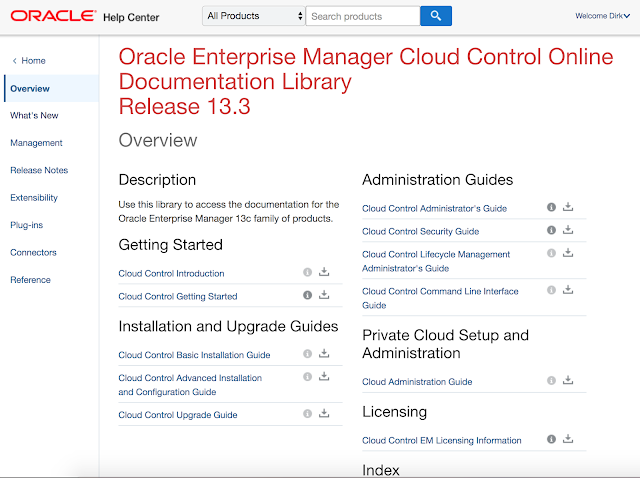 Unfortunately the Documentation for Oracle Enterprise Manager 13c Release 3 (13.3.0.0) is currently not yet uploaded under https://docs.oracle.com/en/enterprise-manager/ . I hope it will be uploaded within the next days. I recently had a project for installing and configure Oracle Forms & Reports 12.2.1.3.0 on a Windows 2016 Server. While the installation and configuration of Oracle Forms & Reports 12.2.1.3.0 went really smooth, I was hitting directly after using the Oracle provided Test Forms under http://:/forms/frmservlet the FRM-93552 error. The official Oracle Documentation states that you have to install the Microsoft Visual C++ Redistributable 2012 (VC++ 11.0), but with this Version you will hit the FRM-93552 error message while calling your Forms. Just install the above mentioned version of the Microsoft Visual C++ Redistributable 2010, you can have multiple version of the Microsoft Visual C++ Redistributable package at the same time on your server. 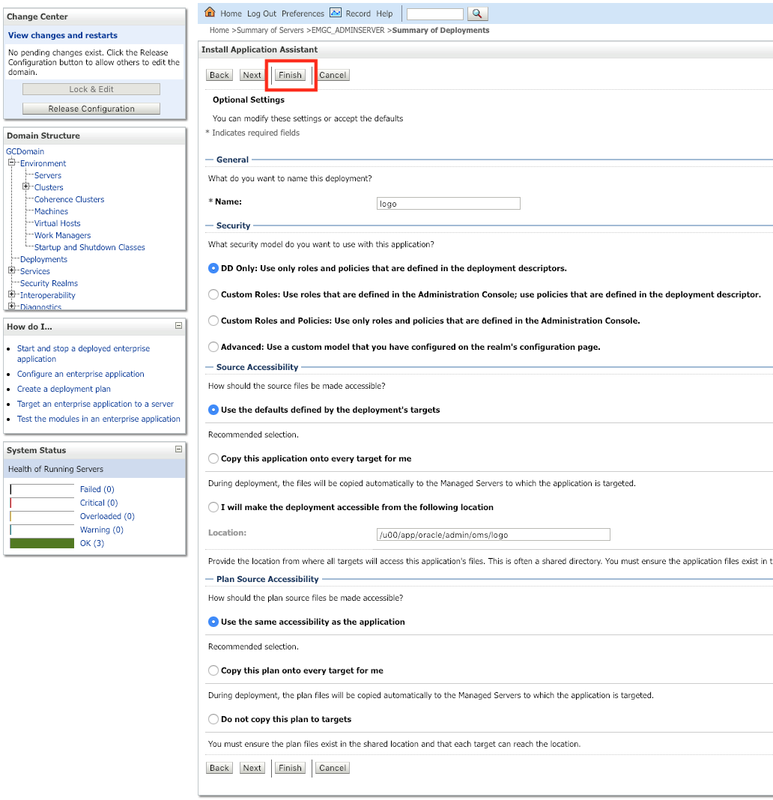 After the installation of the Microsoft Visual C++ Redistributable 2010 simple stop and start your Managed Server for Oracle Forms and the problem with the FRM-93552 error is gone. Last week a colleague of mine contacted me to support him for a problem to configure and use Oracle Reports 12c (12.2.1.2.0 and 12.2.1.3.0) with DESTYPE=blobdestination, which means instead of displaying a rendered Report like PDF or XLS or HTML in the Browser to store the generated Report in a LOB into an underlying table in an Oracle Database. As next we need to create a table which should receive our generated Reports PDF document. The next part is depending if you are using an Oracle Reports In-Process Server or a Standalone Server. Now restart your Managed Server for Reports and you are ready. After that you will see in your target table for the Reports a row with your generated Reports PDF Document. After that restart your Standalone Reports Server and thats all. 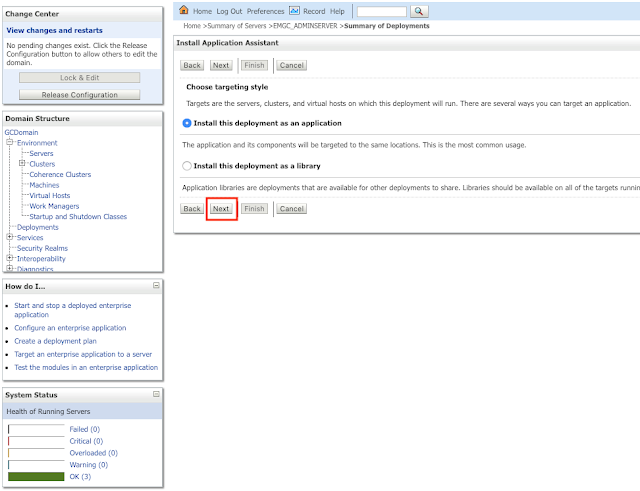 With a small trick you can track your applied patches in your Oracle Software Home on your Oracle WebLogic Server in the outfile. Simply add -Dweblogic.log.DisplayPatchInfo=true to your already existing setUserOverrides.sh or create a new setUserOverrides.sh in your $DOMAIN_HOME/bin directory. As you can see, the provided patch data in the outfile of your WebLogic Server is exactly the same as in the opatch utility. 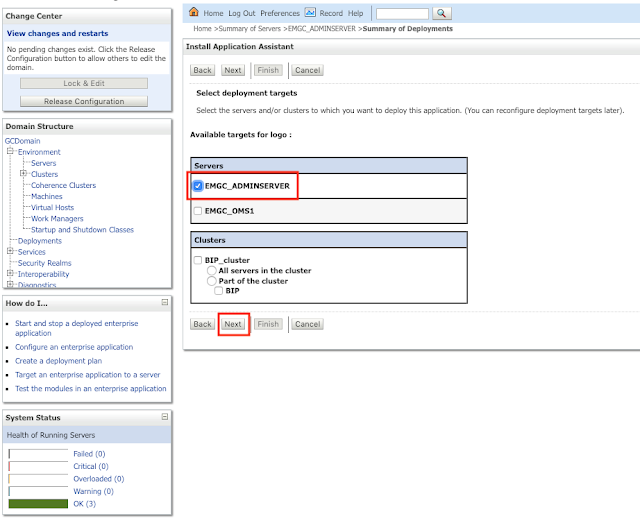 Many people struggle with the configuration and execution of the SOA Purge functionality under Oracle SOA Suite 12c. 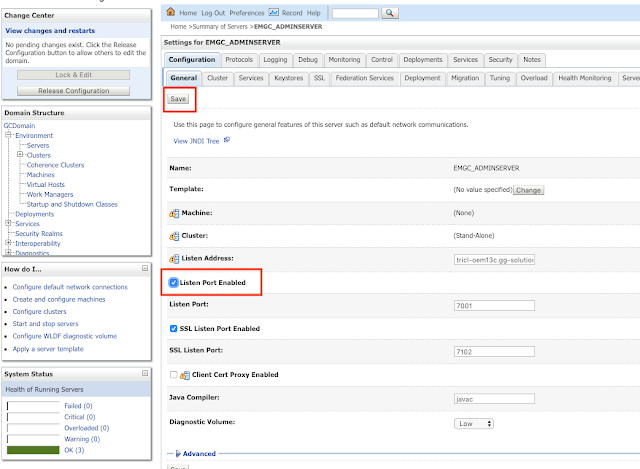 Oracle provided with SOA Suite 12c a nice web interface for enabling, and scheduling the AutoPurge functionality within the Enterprise Manager Fusion Middleware Control 12c. But in case you just enable, schedule and define your retention time for the AutoPurge within this web interface nothing will be happen :-( You have to modify in addition some MBeans in order to enable and execute your AutoPurge Schedules correctly. 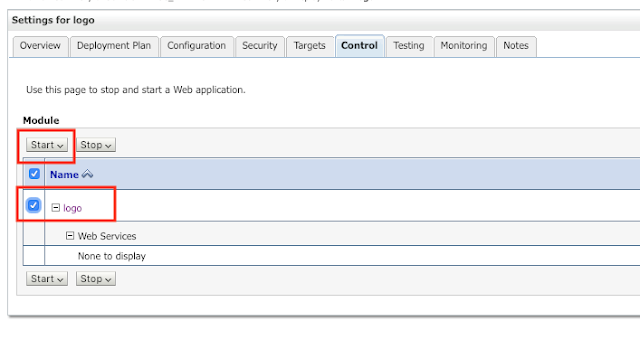 Under your soa-infra open the menu "SOA Infrastructure / SOA Administration / Auto Purge"
In the Auto Purge option you will have to define multiple sections. In the System MBean Browser you will be pointed directly to the Application Defined MBeans: AutoPurgeJobConfig:purge. maxCreationPeriodDays, default value is -1, which means it's DISABLED !!! minCreationPeriodDays, default value is -1, which means it's DISABLED !!! In my case, I have defined a retentionPeriod of 7 (under the Auto Purge Option, it's called Retain Data), so I have to set my maxCreationPeriodDays to retentionPeriod + 1 = 8 and my minCreationPeriodDays I define with 250. In case your SOA Metadata Repository was created with the profile LARGE in the Repository Creation Utility (rcu), you will have Partitions in several Metadata Repository tables, so you will need to align the value for purgePartitionedComponent from false to true. Finally go up to the top of the current page and hit the button "Apply" to save your changes. Now your Auto Purge Job will really purge data in your SOA Metadata Repository. Either wait to the next scheduled execution or execute the Auto Purge Job manually. 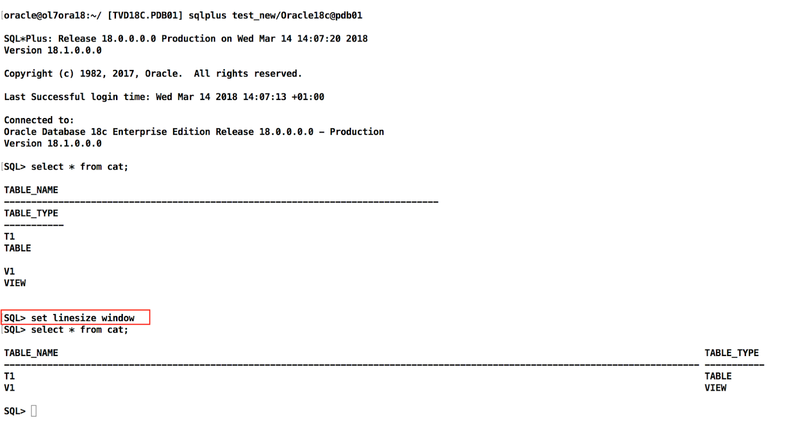 As I got my fingers on the latest Oracle 18c Release, I had the chance to test some cute new features within SQLPlus, which are really helpful. The new option WINDOW for SET LINESIZE automatically adjust your linesize to your current window size. As you can see in the below screenshot, the first select was executed without the linesize option, so you will have the usual line break in your result set. Afterwards I execute "SET LINESIZE WINDOW", re-executed the select statement and you can see that the linesize is automatically adjusted to my current window size. This new option SQL_ID for SET FEEDBACK ON is my personal favorite. This option will provide you on the end of your executed SQL Statement the SQL_ID. Let's create a test user with one table and one view. 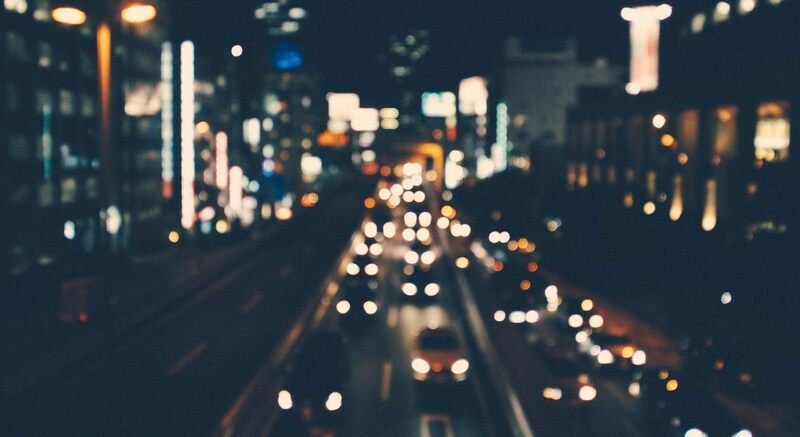 As I am currently working a lot with Docker and I already managed to place Oracle Forms & Reports into Docker, my next goal was to use the Oracle Traffic Director as well in Docker. 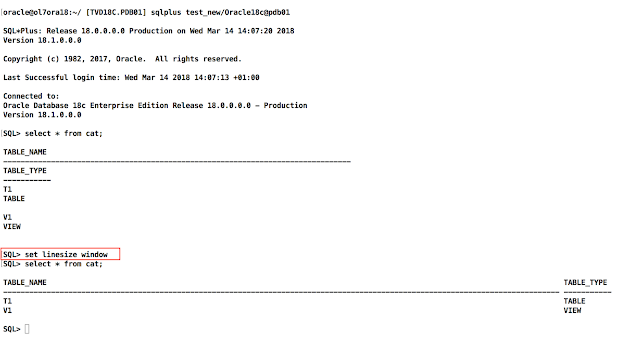 Based on my blog post "How to install and configure Oracle Traffic Director 12c - fully unattended" http://dirknachbar.blogspot.ch/2017/09/how-to-install-and-configure-oracle.html, I have converted and aligned my scripts to be used in a Docker Image. The Oracle Traffic Director Image is based on my already published OracleJDK and OracleFMWInfrastrcure Images (https://github.com/DirkNachbar/Docker). In the last days I was working on my Oracle Forms & Reports in Docker solution and I already published it via my blog and in my personal GitHub Repository. With this blog post, I want to explain the Concept and Technique behind my solution and the motivation. So, Jan-Peter Timmermann (https://jan-peter.me), Robert Crames (http://robertcrames.blogspot.ch) and I, were developing together a script set for installation and configuration of a complete Oracle Forms & Reports 12.2.x environment on Unix (Linux and so on) Servers, because we couldn't accept the fact, that we should start the Domain Configuration Wizard and click through several times just to create multiple Oracle Forms & Reports 12.2.x environments. We used this solution in our own test labs and also in real-life for customers, which reduced the efforts in installing and configuring Oracle Forms & Reports 12.2.x environments dramatically. 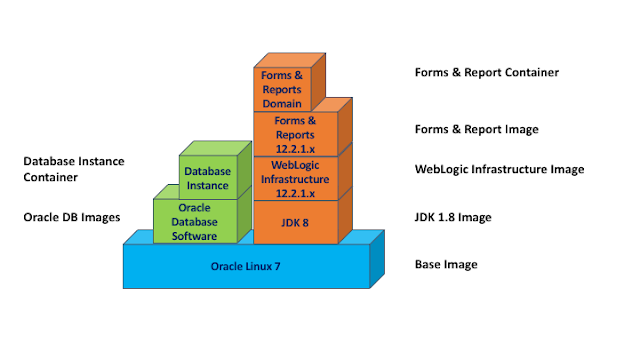 The concept and technique behind the Oracle Forms & Reports in Docker solution is quite straight forward and simple. Assuming you have a server with Docker (I personally prefer an Oracle Enterprise Linux 7.4 with Docker Engine from the Oracle Repos), you just have to decide if your Oracle Database for the required Metadata Repository for Oracle Forms & Reports should be also residing in your Docker or you have somewhere else (native) an Oracle Database (I am using an Oracle Database inside Docker on the same Docker server). 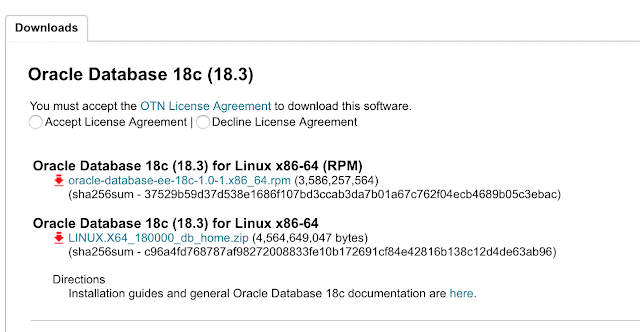 So at first you will pull your Oracle Linux 7 Image, which will be used as Base Image for your Oracle Database Image. For this I highly recommend the Oracle provided solution on GitHub (https://github.com/oracle/docker-images/tree/master/OracleDatabase) mainly maintained by Gerald Venzl (https://twitter.com/GeraldVenzl). After you got your Oracle DB Image installed, you just have to create your Oracle Database by following the instructions on https://github.com/oracle/docker-images/tree/master/OracleDatabase#running-oracle-database-in-a-docker-container. The next step is to build up your Oracle Forms & Reports Stack, just get a copy of my GitHub Repository https://github.com/DirkNachbar/Docker. Download all the required Software binaries (JDK, Oracle WebLogic Server Infrastructure, Oracle Forms & Reports, optionally SQL Developer if you want to use Forms Application Deployment Services) for your desired Release (currently I am supporting Forms & Reports 12.2.1.2.0 and 12.2.1.3.0 ). 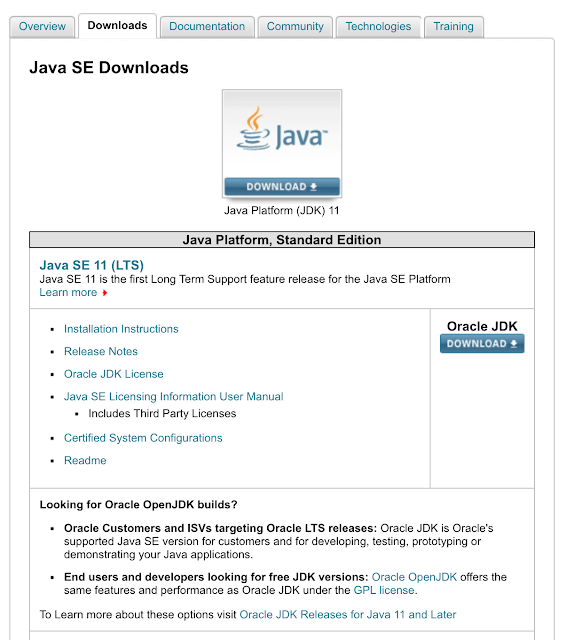 The first step is to create your JDK Image (I am using a full JDK and not a server-side version), based on Oracle Linux 7 Base Image (will be automatically pulled if not present). 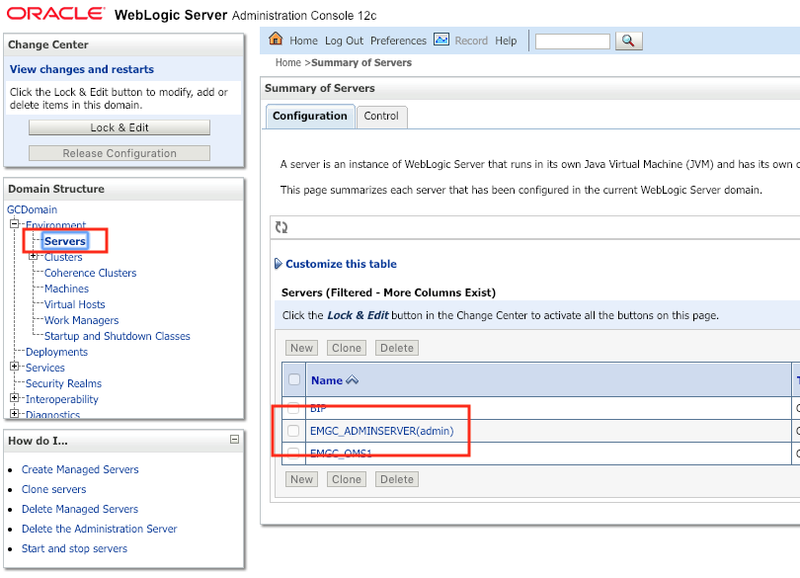 As next you will need to create your WebLogic Server Infrastructure Image based on the prior created JDK Image. 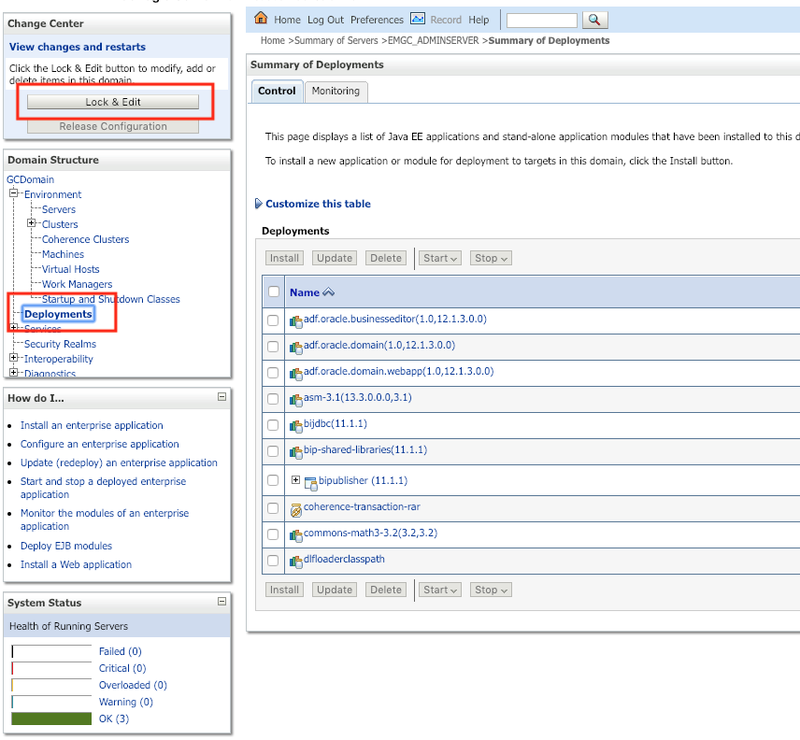 Within the creation of the WebLogic Server Infrastructure Image, I am also installing all required RPM's for Oracle Forms & Reports and fixing the libXm.so bug (without this fix Oracle Reports will not work). 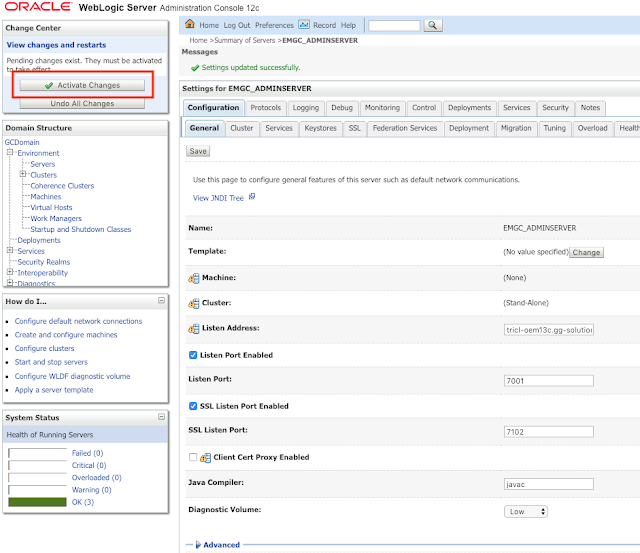 After that you will need to create the Forms & Reports Image, based on the prior created WebLogic Server Infrastructure Image. During the build of the Oracle Forms & Reports Image, all required scripts for the Domain creation will be copied into the Image. These scripts will be used in the final step by the docker-compose file. In case you are using Forms & Reports 12.2.1.3.0, you have also the option to use Forms Application Deployment Services (FADS). For this, if the variable DC_FADS12C is set to true in the OracleFormsReports/setenv.sh, the Image will transfer the required SQL Developer binary file and replace the old version of the SQL Developer under the Oracle Forms & Reports ORACLE_HOME directory. Before you proceed with the final step to create your Forms & Reports Domain, you need to align the script OracleFormsReports/setenv.sh. This is the most important step before you start with the Domain creation. Most of the variables, which will be declared within the setenv.sh script are self-explained, like DC_ADM_USER, DC_ADM_PWD and so on). Some variables you need to take care very well, like the DC_DB%. In case you don't align them to your environment, the creation of the Metadata Repository will fail and finally your Domain creation will fail. Another important variable is DC_USERHOME, this one configures the to be used volume on your Docker host, which will be mapped from your Docker Container. I am using volumes within the Forms & Reports Docker Container, which will contain the complete DOMAIN_HOME, because this allows you later on, to configure directly from your Docker host on the defined volume various settings, eg. formsweb.cfg, rwserver.conf, httpd.conf and so on. 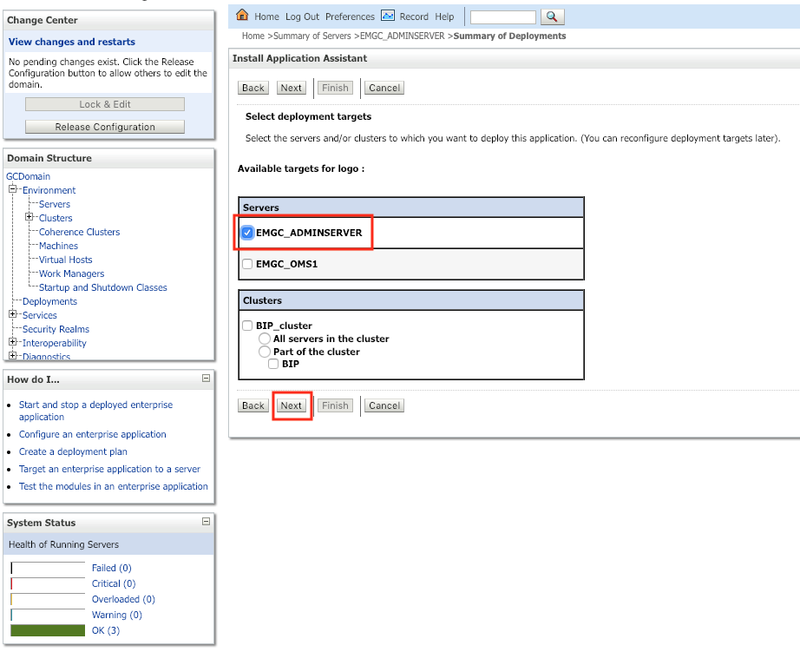 The defined DC_USERHOME you will have to create before you are starting with the Domain creation. Finally (make sure that your target Database for the Metadata Repository is up and running) you can start the Domain Creation with the provided docker-compose file, which will create you a base domain, extend this with Forms & Reports, configure an Oracle HTTP Server (OHS) and creates you a Reports Server and finally it will configure port-forwarding from your Docker Container to your Docker Host of the most important ports, e.g. 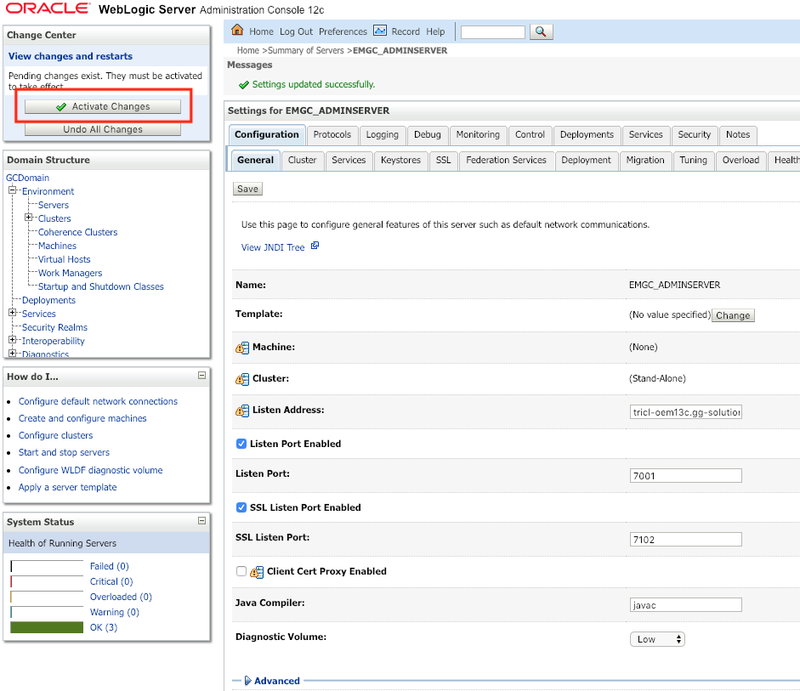 WebLogic Admin Server, Managed Servers and Oracle HTTP Server. The provided docker-compose script will take all the defined variables from the setenv.sh script and push them into to the to-be created Container, so that at the beginning mentioned script-set for creating the Domain for Forms & Reports can use them. 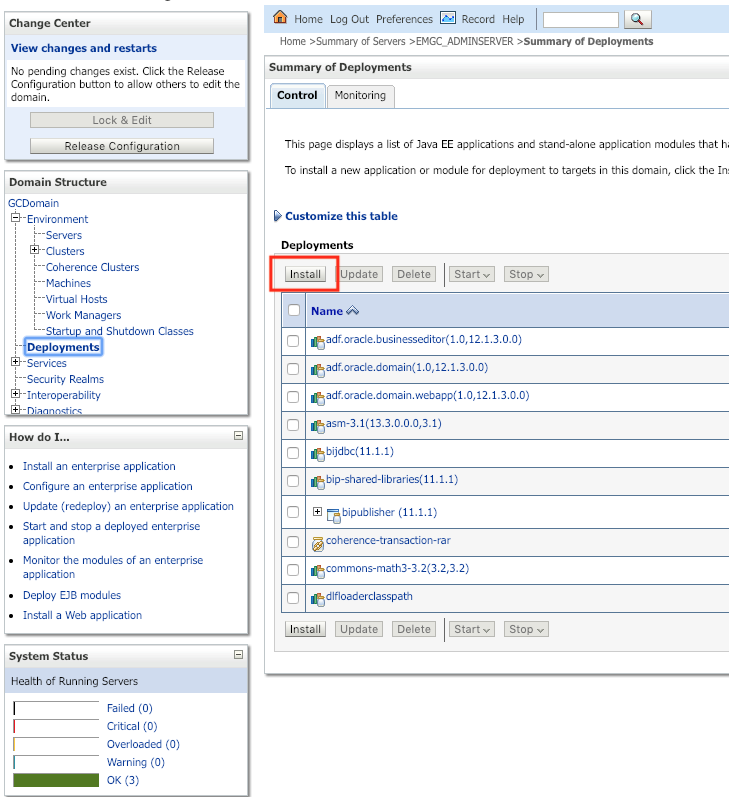 For fans of the new feature Forms Application Deployment Services (FADS), which is available from release 12.2.1.3.0 going. I have also implemented a pre-configuration task within the Domain creation for FADS, so that you just need later on, when your Container is running, to execute the fads_config.py script to get your FADS functionality. In case something goes wrong during the Domain creation, you can easily wipe out your half-Docker Container with "docker rm frfmw" and dont forget to cleanup below your defined volume ($DC_USERHOME/user_projects) potentially created directories like domains or applications. And then you can restart with the docker-compose your creation of the Docker Container. I will regularly update or enhance my Docker solution for Oracle Forms & Reports, so check out my GitHub Repository (https://github.com/DirkNachbar/Docker) from time to time. Or if you have some specific needs, just drop me a message here or give me a message in Twitter (https://twitter.com/DirkNachbar) or create a Issue on the GitHub Repository. The next release of my Oracle Forms & Reports 12.2.1.3.0 Docker solution is now containing an option on running the Oracle Forms Application Deployment Services (FADS) within the Docker container. Feel free to get a copy and enjoy playing around with Oracle Forms Application Deployment Services (FADS) under a Docker container.